HumanLight is an annual holiday celebrated by the followers of secular humanism, a philosophy that emphasizes the value and agency of human beings, and embraces human reason and ethics as the basis of morality and decision making. It is observed annually on December 23. Humanism is a philosophical and ethical stance that views humans as solely responsible for the promotion and development of individuals, and generally prefers critical thinking and evidence over acceptance of dogma or superstitions. The majority of the present-day humanist movements are aligned with secularism. Therefore, a lot of (but not all) humanists are atheists or agnostics who don’t celebrate religious holidays such as Christmas. At the same time, they aren’t actively anti-religion. Humanists believe in the importance of human rights, including the right to the freedom of religion. They prefer to prove their point of view through creating secular alternatives to religious traditions and believes. 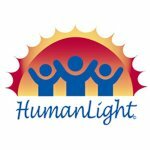 HumanLight is a humanist alternative to winter holidays celebrated during the December holiday season. In December, western Christians celebrate Christmas, Jews have Hanukkah, Afro-Americans observe Kwanza, and even Chinese and some other East Asians have Dongzhi, a traditional winter solstice festival. HumanLight gives secular people who celebrate none of these holidays an opportunity to participate in the December festivities without feeling left out. At the same time, its date was deliberately chosen so that it wouldn’t interfere with other winter holidays, which some humanists may also want to celebrate. The first HumanLight celebration was held in 2001 by the New Jersey Humanist Network. Various humanist organizations across the United States soon followed suit, including the American Humanist Organization in 2004. There’s even the official HumanLight committee that maintains the holiday’s web page, provides resources, and engages with the media. Human light is a non-religious holiday that celebrates the secular human values of reason, compassion, humanity, and hope. The world “light” in its name refers to human reason that is responsible for a rational and critical perception of one’s reality. Many of those celebrating HumanLight light blue, red and yellow/gold candles that represent reason, compassion and hope, respectively. Candle-lighting ceremonies have become quite widespread but there are no set colors or specific rules. In general, HumanLight has no universally accepted traditions of celebration. Modern celebrations usually involve a communal meal shared by a family or group. Some humanist organizations hold large celebrations that can involve various ceremonies, children’s activities, charitable events, gift exchanges, and more. The HumanLight Committee recommends sticking to three principles while planning any kind of event: promoting the positive values of humanism, avoiding negative messages related to other outlooks and religions, and keeping the event family and children-friendly.